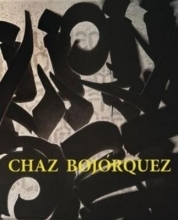 Legendary artist Chaz Bojórquez is a student of the world and an American treasure all at once. In this stunning monograph, Bojórquez` artistic progression is revealed one decade at a time, beginning in the 1970s. His early interest in Los Angles`s native ¿cholo` style graffiti writing was later tempered by his work in Asian Calligraphy and his studies at Chouinard Art Institute. As the book unfolds through the decades, the diversity and range of Bojórquez` work becomes evident: street graffiti, paintings, logos, type intensive graphic design work and forays into cinema and fashion are all executed to the highest level. The illustrations are accompanied by fascinating stories about how Chaz started as an artist and includes an in-depth interview with Amanda Erlanson. Los Angeles art critic Peter Frank also contributes an essay in the telling of this artist`s fascinating life story.